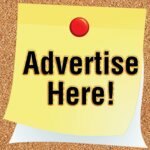 How To Trap Mink - What's The Best Way? Learning how to trap mink on a consistent basis may seem like a difficult task at first, but it's actually easier than you think. For beginner trappers, mink seem like a mythical creature only showing up in a muskrat set once or twice a year. 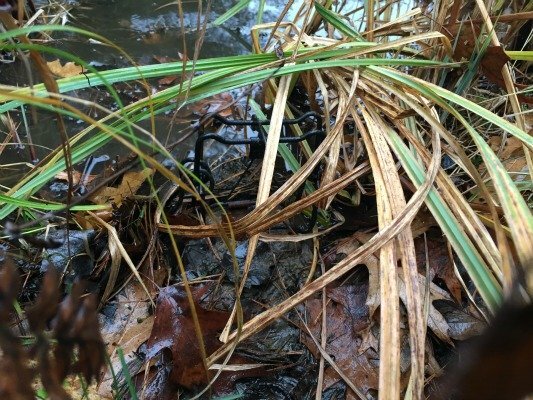 While it's true a mink is more difficult to trap than a muskrat or raccoon, you don't have to settle for just the random mink caught in your muskrat set when you least expect it. To consistently trap mink you'll need to understand their behavior, where they travel and how they hunt for food. Mink trapping is all about location and patience. 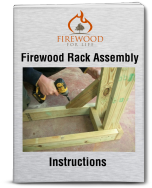 A great location with an okay set will typically outperform an okay location with a great set. So take the time to scout, look for signs of mink in the area such as tracks in the muddy shoreline along a stream or river or trails heading through the tall grass. Look for vertical or under cut banks where you can make a quick and productive set, or look for culverts and other pinch points that are sure to attract a passing mink. Since mink are always on the move and have large travel areas, it's important to be patient. Many times you can have a set go for days, even weeks before it connects. Also, if you find a great location don't be afraid to make multiple sets in the same area. You want to take advantage of a good spot when you find it, so place a few different sets in an area that looks promising. 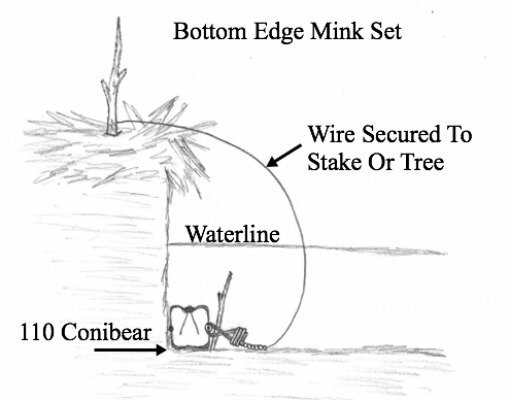 The bottom edge set is a great set for both mink and muskrat. Look for a location where the river flows along a vertical bank creating somewhat of an undercut into the bank that's sheltered by some overhanging grass or brush. Mink and muskrats love to swim along the bottom edge of the river as they follow this undercut along the shoreline. To make the set, simply place a 110 conibear on the "bottom edge" of the streambed up tight against the bank. You can use a stake to secure the 110 and wire or cable it off to a nearby tree or stake, or you can use a conibear clip attached to a small brick. Using a conibear clip and a small brick is a quick and easy way to make a bottom edge set. 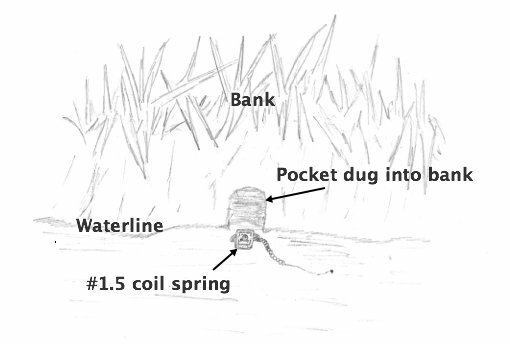 Simply attach the trap and trap chain to the brick and you can quickly set the brick on the bottom of the stream along the bank and you've made a great set in just a few seconds. The weight of the brick holds the set in place and the mink or muskrat after they're caught. 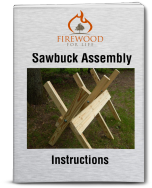 The pocket set is a very popular set used for mink, muskrat and raccoons. The pocket itself is a very big attraction, plus some added bait and lure adds to the sets appeal. To make a pocket set, dig a 4''-6'' hole into the side of a vertical bank at the waterline. I like to dig the hole slightly upwards away from the waterline which keeps the bait out of the water. Once your pocket has been dug, place the bait in the back of the pocket. When trapping mink, muskrat meat from a muskrat carcass works great as bait. Finally, make a small area to bed the trap and place a #1.5 coil spring in front of the pocket and securely fasten the trap using a submersion setup. Pocket sets work great but if you're using them around freeze up time when ice starts to form along the edges of a stream or marsh, the set will quickly freeze and not be productive. A blind set is another common and productive set for mink. As mink travel through the tall grass along a stream or as they investigate small inlets or channels, they often leave behind small yet distinct trails. 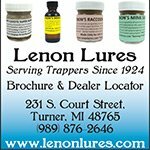 Since a blind set doesn't use any bait or lure it relies on trap placement in these commonly used travel paths. 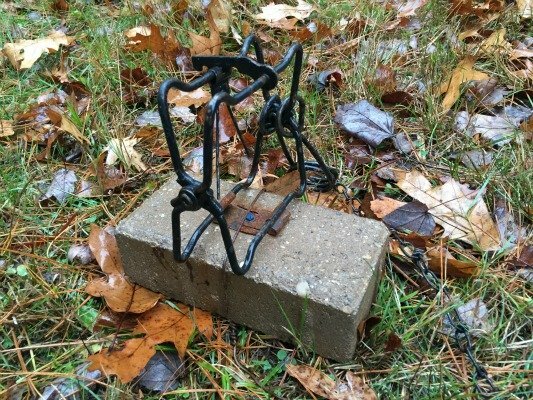 To make the set, place a 110 conibear in trail and secure the trap using a stake to place the trap, or use the conibear clip and brick method which works great in this setup as well. Although there a many different sets you can use on mink, the bottom edge set, pocket set and blind set are some of the easiest and most productive sets to incorporate into your trapline. These sets work really well and with a little practice you'll be trapping more mink than you ever thought possible.